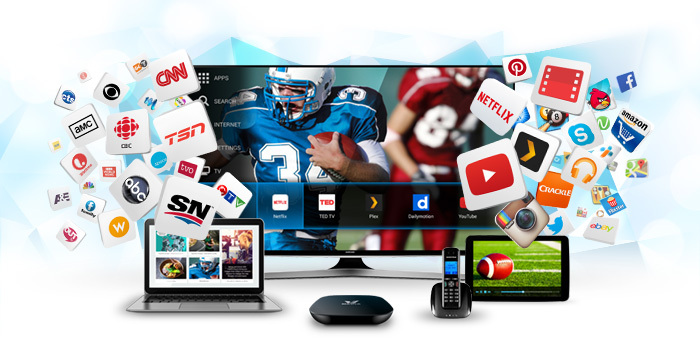 Welcome to the extraordinary world of VMedia – Canada’s leading Multimedia Company providing next-generation High-Speed Internet, IPTV and Phone services with amazing choices, the lowest prices and awesome customer care that has made VMedia the number one choice in Canada today. VMedia are excited to offer their customers in Ontario their new wireless monitored home Security system called VMedia Protect for our customers in Kawartha Lakes and the surrounding communities including Bobcaygeon, Fenelon Falls, Lindsay, Omemee, and Woodville – an area of immense and unsurpassed natural beauty with a rich and fascinating history – it’s local economy supported by tourism and agriculture and many industries with numerous historical sites and museums including the Olde Gaol Museum, Horseless Carriage Museum, First Nations Historical sites, Kawartha Settlers Village Museum and many beautiful galleries celebrating and showcasing the area’s history and culture with a multitude of outdoor activities and exquisite scenery to enjoy like the Ganaraska Hiking Trail, Queen Elisabeth Wildlands Provincial Park Indian point Provincial Park and many conservation Parks full of amazing wildlife, pristine rivers, lakes and creeks for superb fishing, canoeing , kayaking , mountain – biking skiing, hiking, camping for all residents and visitors alike. VMedia continue to offer our customers in Kawartha Lakes the highest quality services and core to our success is our friendly customer care offering seven-day technical support and range of low prices on offer in 2018. VMedia is proud to be associated with Kawartha Lakes and our newest innovation – VMedia Protect – will keep the homes in Kawartha lakes and all the surrounding villages, towns, and rural communities and secure with 24/7 monitoring guaranteed! In Canada VMedia has excelled as a highly innovative ISP Provider across Canada as they continue to expand and upgrade their network and technological expertise and providing a modern and reliable Internet service in many provinces – including Ontario where VMedia was founded in 2013 – with millions of happy customers enjoying fast speeds, no limits, no contracts and a variety of great Internet Plans and Internet Deals to suit every lifestyle and budget. VMedia continue to expand their highly popular Internet service across Canada with a vision to be in every city, town and rural community in the future going forward giving Canadians what they deserve – the best Internet at the lowest price! Currently, across Ontario and the Kawartha Lakes area, we offer DSL, FTTN or Cable options and our friendly Sales Team will assess and advise what option suits your area then offer you the best internet deal – our cheap internet prices cannot be beaten! VMedia only employs the best and our Technical Support Team is available seven days a week to keep everyone connected – that’s awesome customer care – only from VMedia! Click here for all Internet Deals, Internet Plans, and all prices. Installing a Home Security System in your home is the most important step in securing your property against the escalating numbers of burglaries and house break-ins in urban and rural communities all over Canada and in Ontario today. VMedia have recently developed and launched a new wireless 24/7 monitored Home security System called VMedia Protect offering a modern and easy to install a system that can be customized to suit any house, apartment or condo in Kawartha Lakes and the surrounding communities – at really affordable prices to suit all budgets! VMedia Protect will provide 24/7 professional monitoring 365 days a year from our 5 diamond and ULC certified (the highest certification in the industry) Central Monitoring Station staffed with our highly skilled and trained operators at the highest level of excellence in Canada today. If your home alarm is triggered a signal is sent over the internet or cellular connection to our Monitoring Station where our operators will immediately notify you and the local police. VMedia Protect also includes a free app so you can remotely arm/ disarm your system from your phone or tablet and receive alerts and communication anytime and from anywhere! VMedia Protect is truly affordable and offers excellent value for money as we protect your property and comes with no contracts and full 30-day money back guarantee! The VMedia Protect Kit contains all the essential components required to make your home safe and secure against unwanted intruders. The Kit contains The Security Hub (main control panel) x 1, Door/window sensors x 2, PIR motion sensor x 1, window decals (informing intruders that your property is fully protected and monitored by VMedia Protect) x 4. The Security Hub and sensors are so easy to install and are completely wireless – no drilling required! Price of VMedia Protect Kit is $229.95. Extra sensors and other items can be purchased if required – contact our Sales Team for more information and advice. The Security Hub is the main control panel for your home security system and is designed and manufactured to the highest standards and is so easy to install anywhere within your property allowing instant and seamless reporting over the internet with optional GSM upgrades available if required , the Hub also has a built-in battery in case of power outages. The sensors and PIR sensor ( that is completely pet-friendly!) are easily fitted and connect wirelessly via RF so simply plug in the Security Hub, stick up the sensors and call us to activate – your home is now protected with VMedia Protect! Once your VMedia Protect Kit is installed you are now ready for 24/7 monitoring to complete your home protection. VMedia offer 2 fantastic service plans at low monthly rates called Protect and Protect Plus offering the ultimate peace of mind when you leave home. Protect offers 24/7 professional monitoring 365 days with our central Monitoring Station including instant communication via the internet with texts, emails and push notifications. We can also remotely arm/disarm your Security Hub if required. VMedia are happy to offer our new customers in Kawartha Lakes and the surrounding area an extra optional service called Private Security Response so if your home alarm is triggered we will send a member of our Private Security Response Team to check your property for signs of a burglary or break – in and if one is detected they will immediately contact you and the local police. This excellent service will avoid costly false alarm call – out charges costing $75 – $150 depending on your location. Cost of Private Security Response is only $4.95/month. Every property has different requirements and VMedia Protect can provide extra sensors, PIR sensors, window decals, key fobs and an optional PIN pad that can be placed at entry /exit points so you can easily arm/ disarm your system using a private code. Contact our Sales Team for more information. Click here for extra accessories and prices. When your Home Protect Kit is installed VMedia Protect will give you an Insurance Certificate for your Home Insurance Provider allowing you savings of 10% – 15% – more incredible value from VMedia! 24/7 protection – with VMedia Protect! VMedia has opened up a whole new world of Television entertainment and so much more since they launched their phenomenally successful IPTV service and remains one of the leading IPTV providers in Canada today. IPTV uses the internet instead of the more traditional satellite and cable TV and is hugely popular worldwide bringing more choices and viewing experiences never seen before. ! VMedia are delighted to continue expanding their IPTV service across the provinces – including Ontario – offering endless choices, flexibility, and really low prices as standard! IPTV (Internet Protocol TV) from VMedia is streamed via the internet through an IPTV box called The VBox allowing instant access to the latest and best Canadian, US and International networks and channels, news, sport, films, music, kids, games and much more! The VBox also acts as a browser with an instant connection to Facebook, Twitter, Skype, YouTube, Netflix, Plex, XBMC, Instagram, Picasa and 100’s of apps for all the family to enjoy. VCloud and PVR are included in the VBox, allowing recording and a seven-day “scroll back “ option so you never miss your favorite programmes and PVR to pause, rewind, stop or fast forward recorded programmes – more flexibility and enjoyment only from VMedia! We are excited to offer our customers in Kawartha Lakes a wide variety of entertainment from all over the world with our amazing Packages and Theme Packs –all at really affordable prices you just can’t resist! Check out our Packages including TheSkinny – Canada’s lowest priced Package offering 23 channels for only $21.95/month , The Basic – offering 45 channels for only $33.95/month and The Premium Flex – offering 4 options – Premium Family, Premium Classic , Premium Sport and Premium Lifestyle for only $49.95/month, and the Grand Premium – offering an immense 100 channels – all for only $67.95/month! Entertainment galore with Theme Packs from VMedia including TVO HO CTV HD, YES TV, Family Pack, Kids Pack, Hollywood Suite, Sports Man, Sports Combo, TSN, International, Style, Living Discovery, History and many more! Pick and choose what you want the watch with UChoose from VMedia – you can create your own preferred TV entertainment from over 160 standalone at prices as low as $2.95 per channel -the choice is all yours! Click here for all available channels, Packages, Theme Packs, and prices. VMedia IPTV – best choices with low prices! Home Phone offers low monthly bills, 16 phone features, no contracts and the first month free! Canada Plan offers unlimited calls all over Canada and reduced calls elsewhere for only $15.95/month. World Plan offers unlimited calls to over 60 countries worldwide and reduced calls elsewhere for only $26.95/month. Amazing value for money always – from VMedia Phone! Click here for all Phone Plans, Phone features, and all prices. As VMedia continues their journey across the provinces we are excited to offer next-generation High-Speed Internet, IPTV, and Phone services and introducing our new wireless monitored Home Security System called VMedia Protect to keep the homes in and around Kawartha Lakes safe and secure 24/7. Friendly and efficient customer care is core to our ongoing success with seven-day technical support and all our prices staying low just for you – keeping VMedia way ahead of their competitors and proving they are still the most popular Multimedia providers in Canada today! Why not call VMedia at 1 – 855 – 333 – 8269 today for more information or visit www.vmedia.ca for all current deals, bundles, special offers, and all prices. VMedia – empowering Canada since 2013!